“BAM! 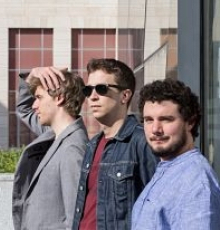 Trio” is first and foremost a sound: the mythical sound of the union between a Hammond organ, a guitar and drums. “BAM! Trio” is also a tribute to the richness of jazz music. The trio takes us on a trip down memory lane, from Billie Holiday to John Scofield via Ornette Coleman, and delights us with their many original compositions.